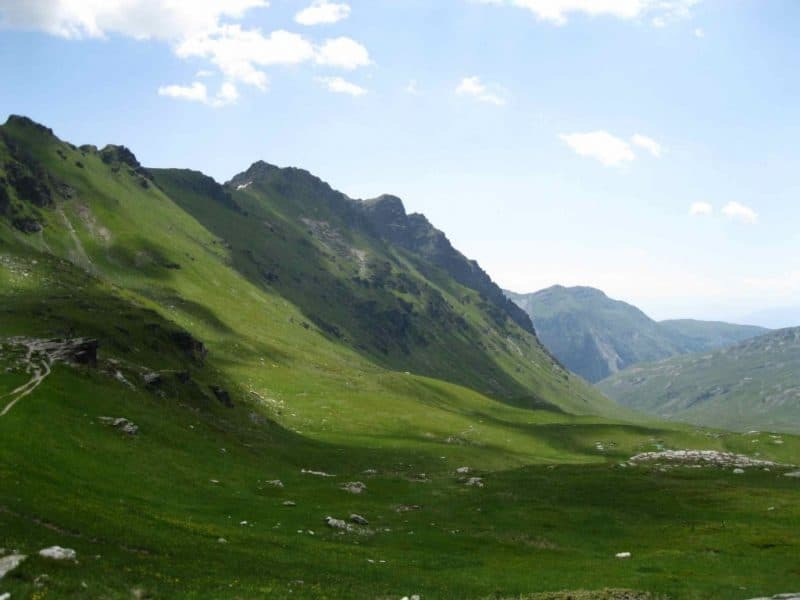 The Peaks of Balkans tour explores the beauty of the Albanian Alps, the lushness of the Belegu, Decani and Bogicevica pastures in Kosovo and Montenegro, and everything in between. We will begin with a guided walk in Tirana, the capital of Albania. Next, we will take a boat tour of Koman Lake, considered by Bradt Guides as “One of the world’s great boat trips”. From the quaint village of Tropojë we follow the shepherd’s trails up to Sylbicë Alpine Huts, where you feel like you are truly among the stars. The next few days will be spent exploring the alpine pastures of Kosovo and Montenegro, before a return to Albania. 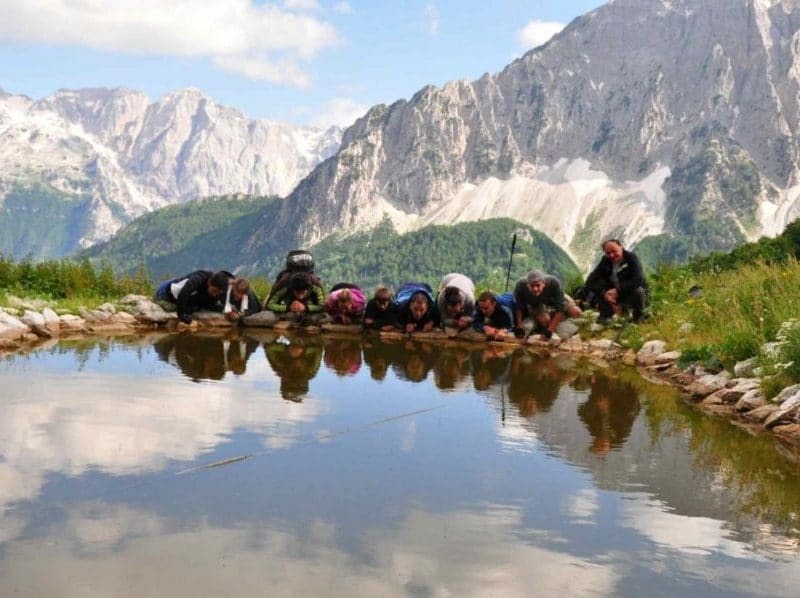 This tour is epitomized by the mountain-ridge walk between the Valbona valley and Theth Valley, where at the altitude of 1815 m you can see the panorama of both valleys unveiled before you. After you land in Albania you will be welcomed by the Albanian travel agency representatives. Next we transfer from the airport to the hotel in Tirana. In the afternoon we will visit the city center of Tirana, including the Scanderbeg square, Et’hem Bey mosque, Toptan Castle, and the Pyramid. Breakfast in Tirana. Today we travel toward the Northern part of Albania, passing through the cities of Prizren and Gjakova in Kosovo. The journey will take us through one of the major highway construction zones which will connect Albania with Kosovo. We will make a short, 2 hour stop in Prizren, one of the few cities in Kosovo to have 3 religious communities cohabiting together (Catholic, Orthodox, Muslim). It is also known for the Albanian National Weakening movement. Next we travel to Gjakova and visit the Ottoman bazaar, one of the largest in the Balkans. Depending on time, lunch could be in Prizren or Gjakovë. Before re-entering Albania through Qafe Morine border we will get out of the car and walk our way to the border. There we will present our passport and walk to the village of Tropoje. Upon arrival in the village we will be accommodated in Aste Guesthouse. 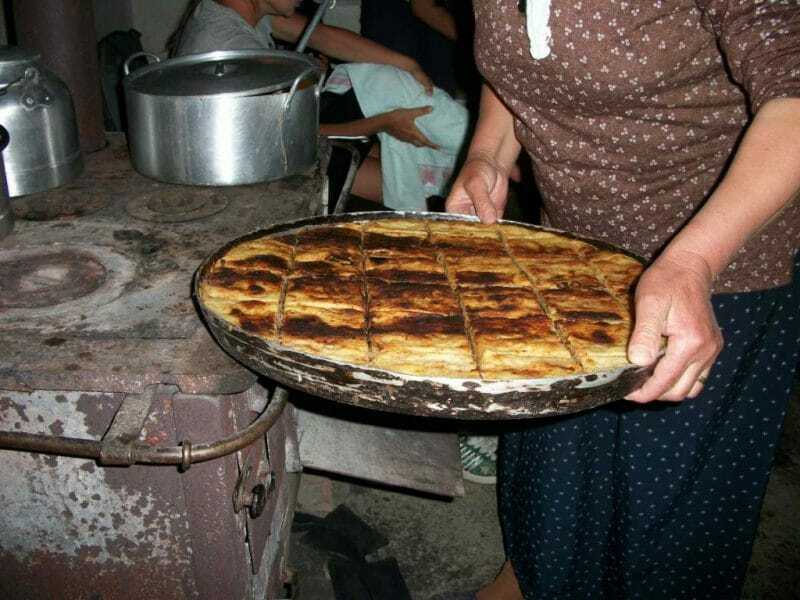 Breakfast in Old Tropojë. The group starts walking led by the tourleader as the luggage is carried by horse. We walk through the valley of Tropoja river and make several breaks on the way. Lunch will be organized in the valley. In the afternoon we reach the alpine huts in Sylbice Alpine Pasture. Dinner and accommodation in Sylbicë. Breakfast in Sylbicë. We travel for 6 hours guided by the local guide and horses from Sylbica through the Decani Alpine Pastures and up to the Belegu Alpine Pastures in Kosovo. Lunch will be organized on the way to Belegu. In Belegu we will be accommodated and served dinner in one of the local huts. Breakfast in Belegu Alpine huts. From here we walk for about 5 hours through three countries guided by the local guide and horses (for the luggage) from Belegu to Bogicevica, Trekufiri. A picnic lunch will be organized somewhere along the way. In the afternoon we reach Doberdol. Breakfast in Dobërdol. After loading the luggage on horses we walk from Dobërdol to Çerem passing through Koshutica and Vranica. Lunch in the village of Çerem. After lunch we will drive from Çerem to Valbonë. The group will walk to White circle mountain. We will return to Valbona after 6-7 hours of walking. Dinner will be organized in a village guesthouse where a folk group will perform for us (for groups of 8 or more people). Breakfast in Valbona. After driving for a while we will reach the trailhead leading to the village of Theth. The trail we follow goes through the village of Rragam and Valbona springs. We need about 2-3 hours depending on the ability of the group to reach the summit of Valbona pass at the altitude of 1815 m. From there the panorama unveiled of both Valbona and Theth valleys is breathtaking. Next we will have picnic lunch about 1 km from the pass. At this place called “Krojnat” we can have coffee or refresh ourselves with colas and beers. In the afternoon we reach Theth and will gather in the Gjelaj quarter. We will drive from Thethi passing through interesting panoramic points such as T’thore Pass and Boga. The road will unveil a unique panorama of Thethi valley and Bjeshkët e Namuna. In Shkoder we will take a short lunch break near the old part of the city. After this, we will resume driving toward Tirana. Upon arrival and accommodation in the hotel we take a walking tour of Tirana and visit the main sites. An option is to also take a trip to Dajti Mountain via cable car. Breakfast in Tirana. We will transfer to Mother Theresa Airport where the tour ends.